Rome, 12 September 2018. 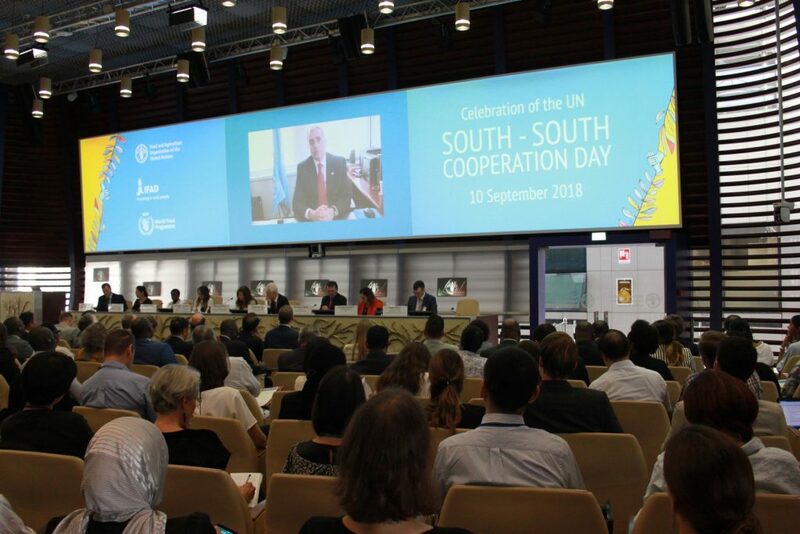 The UN Rome-based Agencies (RBAs), namely, FAO, IFAD and WFP, have launched this week a strong call to scale up South-South and Triangular Cooperation (SSTC) initiatives to achieve the 2030 Agenda for Sustainable Development. 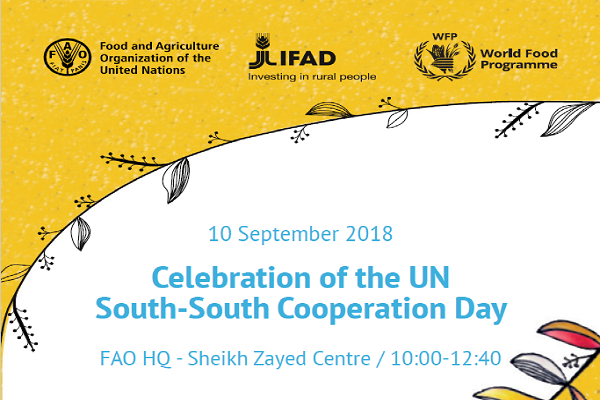 The three agencies gathered at FAO Headquarters to celebrate jointly the 2018 UN Day for South-South Cooperation (SSC). The event, which aimed at raising awareness on SSTC initiatives to achieve zero hunger as well as showcasing success stories addressing particularly climate change, built a stronger commitment to partnerships and inter-agency alliances towards the implementation of the Sustainable Development Goals. The RBAs have partnered to better leverage the potential of SSTC through a higher level of coordination, coherence, and complementarity. 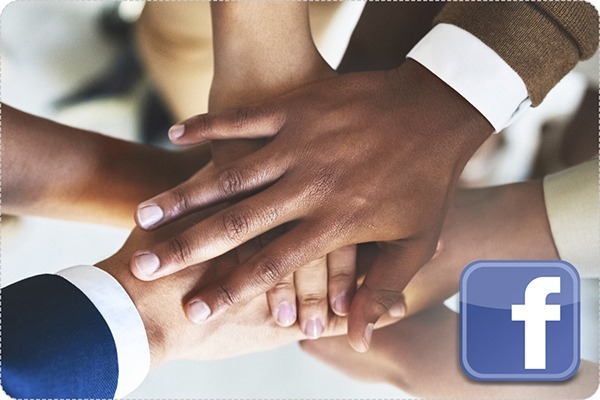 Their collaboration also views to coordinate efforts and create a solid base for the discussions that will be held in March 2019, during the 40th anniversary of the Buenos Aires Plan of Action for Promoting and Implementing Technical Cooperation among the global South (BAPA+40). “South-South Cooperation has become a very important element of the global architecture and the [BAPA+40] Conference will provide a great opportunity to take stock of what South-South Cooperation is doing and has done and how we can do more for the achievement of the 2030 Agenda, and the other global agendas like the climate change agenda, disaster reduction and others. In that context, I want to commend the efforts and the engagement of the Rome-based Agencies in South-South and Triangular Cooperation,” stated Mr. Jorge Chediek, United Nations Special Envoy on South-South Cooperation and Director, UNOSSC. The SSC Day event provided a unique platform to facilitate the exchange of knowledge, experiences, and good practices related to climate change among key stakeholders, including representatives of donor agencies, civil society organizations, research institutes as well as showcase effective partnerships and initiatives that have been carried out through the support of SSTC. 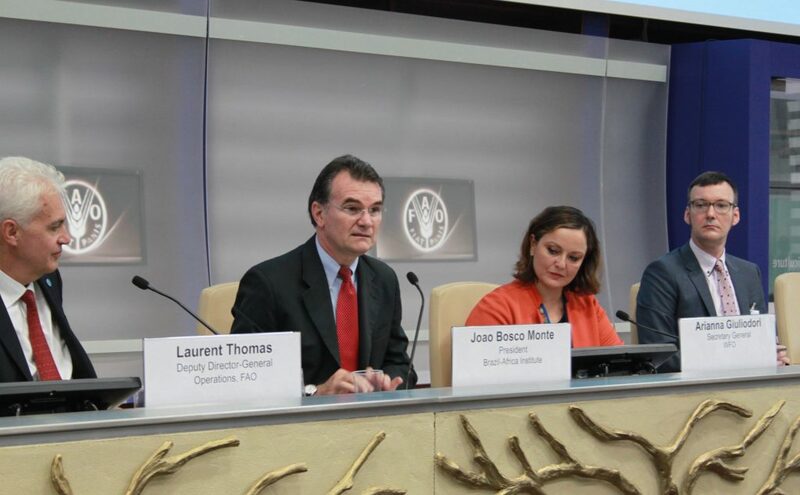 “SSTC not only provides technical solutions and opportunities for technology transfer in addressing climate change, but also management models to deal with the changes and reforms required, whether on the policy front or in the institutional and grassroots arenas,” said Laurent Thomas, Deputy Director-General (Operations), FAO. During the event, SSTC was also presented as a key driver to promote risk insurance, community-level planning process for resilience building and to facilitate adaptation of livelihoods of smallholder farmers that are heavily affected by the adverse impact of climate change. 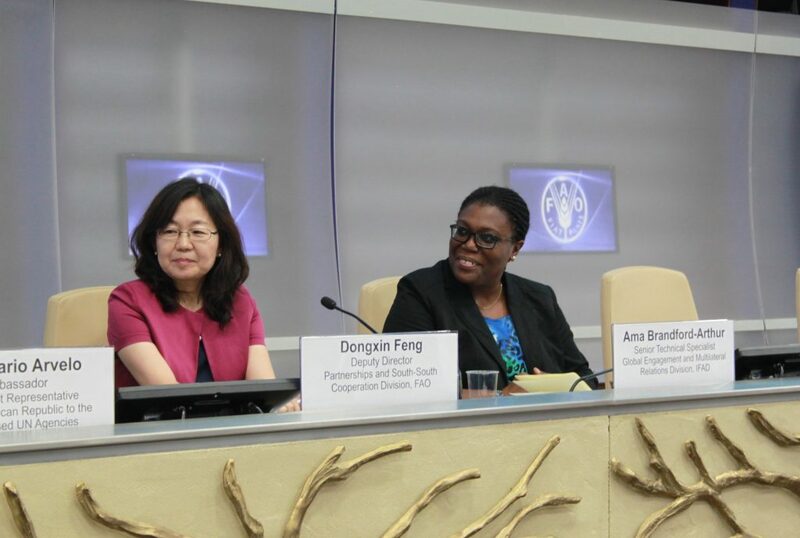 “The strong collaboration among the Rome-based agencies towards BAPA+40 is based on the common vision of the three agencies of taking a holistic approach to the challenges of achieving food security, improving nutrition and ensuring sustainable rural transformation, and the connecting linkages are all provided by SSTC,” pointed out Ama Brandford-Arthur, Senior Technical Specialist Global Engagement and Multilateral Relations Division, IFAD. The RBAs also committed to continue the implementation of the Joint RBAs Roadmap on SSTC in the common vision of ending hunger, achieving food security and improved nutrition, and promoting sustainable agriculture and presented a shared action plan for enhanced collaboration, which takes into account their respective mandates, comparative advantages and distinctive strengths. In addition, they confirmed that showcasing very effective country examples of joint RBA activities on the ground will be key to influence the discussion at BAPA+40. Jean-Pierre de Margerie, Deputy Director of Policy and Programme Division, WFP, highlighted in the closing remarks that speaking with one voice is key for the RBAs to make sure that food security and nutrition stays a priority for the international community and “Southern providers” when implementing the 2030 Agenda. Demonstrating results by starting joint RBAs SSTC operations in the field is key to bridge the political momentum at BAPA+40 with people’s actual food security and nutrition needs on the ground. Please click here for the webcast of the event.